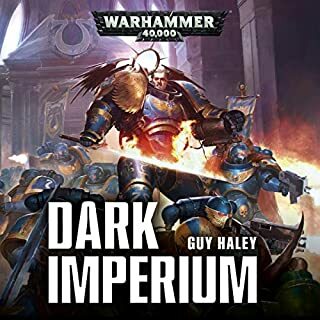 Opened my mind to a fresh view on the corrupted Death Guard of the 40k era. The book and its accompanying reader. I came away actually finding myself really liking the main character. He is... benevolent, while being exactly what he is supposed to be as a follower of nurgle. Great characters, amazing setting. a great perspective of the followers of the plague god. good group of characters. great voice work by the narrator. 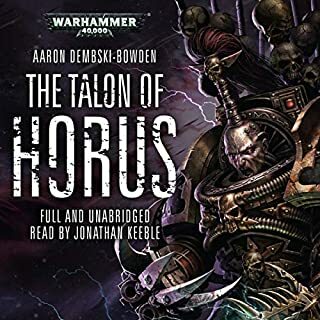 This story really shines insight into the Death Guard and the inter-communication with other traitor legions. Also really shows the other side of an imperial vs. chaos battle. 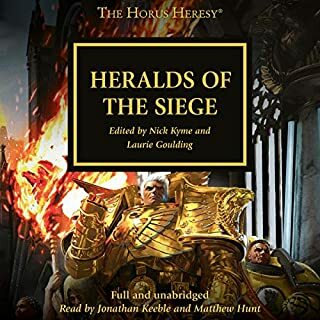 This audiobook details the story of a Death Guard warband, The Lords of Silence. The characters (mostly villains!) are incredibly fleshed out. Each has their own agenda and personality. 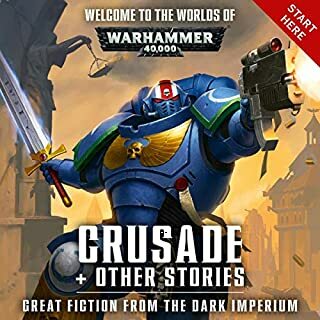 Many iconic characters are included in the story, such as Mortarion and Typhus in their 10,000 year old rotting forms. 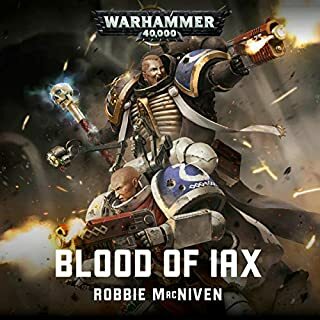 A fantastic narrative and incredible voice acting make the Lords of Silence a very fun book! I'm a fan of the Death Guard, and I enjoyed every minute of the experience. I am biased when it comes to Death Guard as I play them in tabletop, but this was exactly what I wanted. 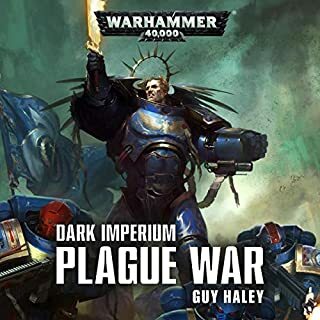 I have waited some time for a Death guard novel and was not dissapointed. The characters had that slow methodical cadence to them that I expect from the sons of the Rotten Angel. The combat was satisfiying, and the insights from the characters were interesting. I was pleased with the descriptions, which were gross but not overly so. I can only speak as someone who is already a big fan, but I found the book very enjoyable. 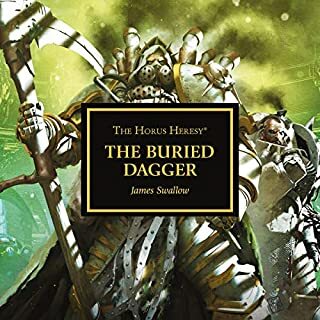 Chris Wraight wrote a detailed delve into the depressed, disgusting world of the Death Guard, and John Banks gave yet another terrific performance. 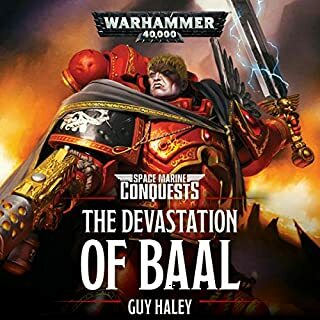 A must read for any Death Guard fan! 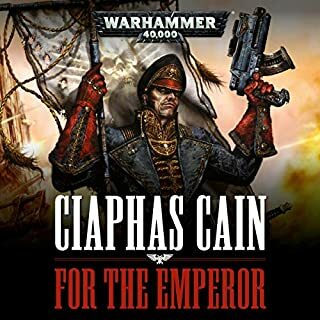 Chris Wraight takes the characterizations he cut his teeth on from Dark Imperium and turns it up to 11. The characters are disgusting, evil, petty killers but you can’t help but want to know their stories. 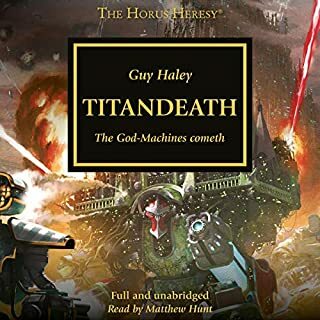 As a giant Death Guard fan this novel was an utter treat to listen to! While I did like this a lot, I'm not sure why the events in the book happened. The descriptions are expansive and amazing, but I the narrative gets lost in them. 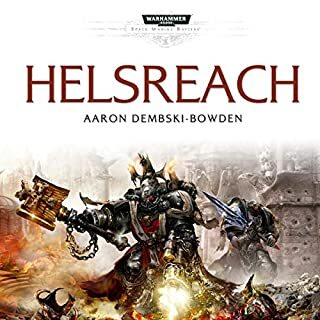 Still a fascinating examination of the Death Guard. My one complaint is that it was really quiet. Quieter than other audio that I have on my phone. It was hard for me to get drawn in by the story. 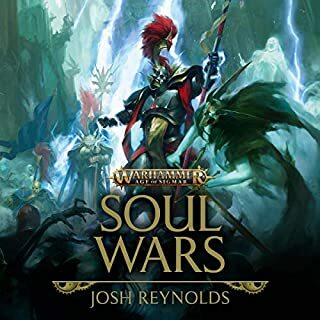 The voice acting is great and I love all things related to Warhammer, but the audio quality is too low. Please fix this! 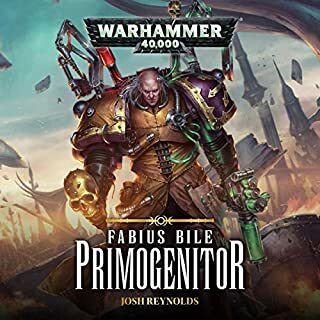 I really enjoyed this edition to the 40k world. The perspective makes it very interesting. The book was amazing! Great descriptions of everything, and the character voices were awesome. Unfortunately, there are areas of the book which just feel dry, like no emotions were shown through the narration. 7/7 would recommend. 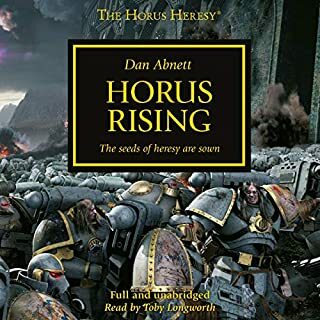 this certainly developes the story and gives you better insight into the sons of the Mortarian, as well as the Primarch himself. 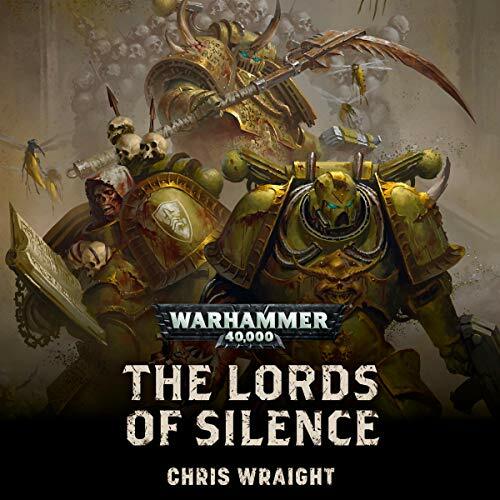 The Lord Of Silence is a brilliant, if grim exploration of the Death Guard told by John Banks who is utterly fantastic as a narrator and makes all of the characters come to vivid life. Wonderful writing and a decent plot. Highly recommended. Fantastic performance, and solid story. John Banks collection of voices add a length and breadth to his readings that are phenomenal and hugely entertaining. Well narrated with good voice definition between charachters. engaging story and great definition. Excellent story and very well written. Love this novel. 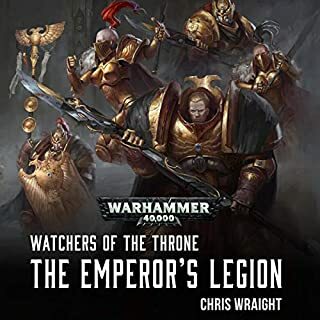 I have never felt sympathy for Mortarion's sons before but this book really engaged my interest in how they have developed since their brush with the destroyer hive. The narrator did an excellent job as always. Highly reccomend. 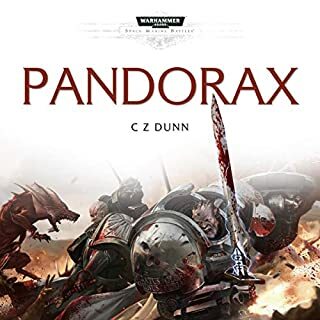 I was a little doubtful about this novel but wow does it deliver, if you like nurgle and anything deathgurard this is a must !! 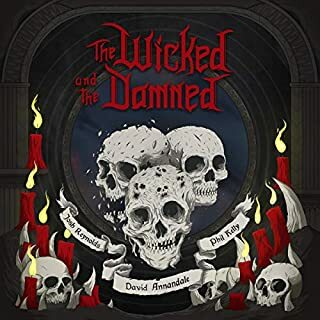 Without doubt one of the best audio books I’ve had the pleasure to review. 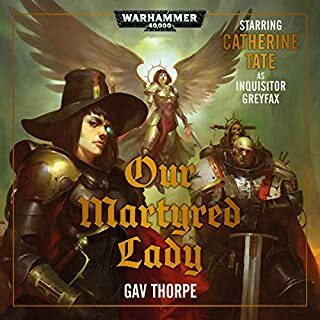 Chris Wraight does a great job of really delving into the character of the Death Guard, warts and all, really capturing the character of this most esoteric of legions and their relationship with their patron god. The performance by Jonathan Banks really captures the feel of the story. Excellent job all round.